The new E-Waste Management Rules (implemented recently) have introduced a target based approach for achieving EPR goals. Companies seeking EPR authorization from the State have to detail out a comprehensive EPR plan for collection & recycling/disposal of their end-of-life products before authorization could be granted to them. Plan should include, among other things, a fair calculation of Company’s E-Waste generation and specific mechanisms through which the targets would be achieved. Besides, annual returns have to be filed with SPCB/CPCB to apprise them of EPR targets achieved. 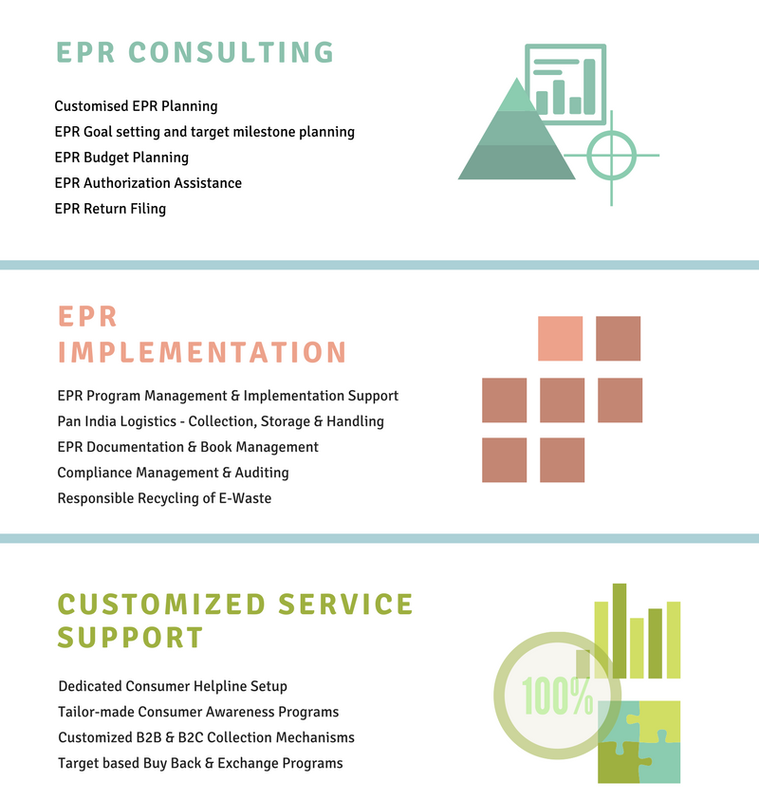 Terrapro offers a unique bouquet of EPR services created specifically for OEMs, Manufacturers and Producers of Electrical and Electronic products. We take complete control of your EPR worries – right from planning to implementation to achieving your EPR targets and filing your EPR returns. See our range of EPR services below. When you partner with us, we take the FULL ownership of fulfilling your EPR mandate, so that you can reserve your focus & attention for where it is required more — on your core Business Activities.